How to Use Instagram To Effortlessly Attract the Perfect-For-You Client — Sweet Blue Bird Design Co.
You are creative and because of that, you have the advantage, marketing your business! Why? Because that means that you are visual and social media is the perfect place for us creatives to find and engage with our perfect clients. You specialize in being visual, right? But, social media marketing takes learning and that takes time. So, if you have been thinking, “I don’t have time for that.” You are in the right place! The good news, is that your competition is thinking the same thing, especially if you are both in a small town. If you are wondering why that is good news, it's because your competition has probably only gotten to THINKING the same thing! That was me 2 years ago. I decided that there had to be a better way to attract the clients that needed my genius skills. I also craved respect for those skills, in the form of MONEY + a smooth client process. I was surprised to find that Instagram was more powerful and enjoyable than I ever expected after taking Wham Bam Instagram, an e-course by Caitlin Bacher. Unfortunately, she isn't offering this course right now, but is great at Facebook too, so she is focusing on that right now! I went from 25 friends on Instagram in April of 2016, to 825 engaged followers in June of 2017... which is right now. I wasn't looking for lightning fast growth, I was looking for other creative moms like me, that ran businesses from home while raising a family. I also wanted to develop relationships and build trust. I basically needed to feel like I wasn't alone and I wanted to see if this platform was worth putting time into. Out of ALL of the social media platforms out there right now, this one is worth putting the time into! Hands down! I don't feel alone anymore and I have found answers to questions about my target audience that I didn't even know I needed answered. How? It helped me connect on a more personal, social level and because of that, I was able to learn little details. For instance, on Instagram, likes and dislikes become crystal clear, because they are in the form of pictures! For example: yesterday I gave away my Colette Brand Kit for free for a 24 hour period, only to my Instagram audience. It drove traffic to my website, which should ultimately be your goal with social media. The other cool perk is that people from all over the world are at your fingertips! A woman from Verona, Italy downloaded my Colette branding kit! Not bad for a girl from a small dairy town, right?! There is a way that you can harness that power and go way beyond that small town, with an Instagram account, a camera on your phone (pretty much everyone has one, except for my husband, which means I married a unicorn, right? Yeh, I know. ), and a little planning. • Your Name: Use your business name as your Insta handle and then your name easily fits in beneath it, so you have both bases covered. So, basically, Instagram is the STAR, but every star has supporting characters. In this part of the post, I am sharing exactly what tools I use after a year of driving Instagram around, and this list is solid after I narrowed it down to what works best for me. I trimmed the fat! When I first started using Instagram, I thought that I had to take pictures with my phone and post them as I took them. First of all, I homeschool AND work from home, so I am not out much, using my phone as I am out and about. After taking Caitlin Bacher's Wham Bam Instagram e-course, I learned that I didn't have to post photos in real time. I also learned that strategy and planning is the name of the game, so I found out what tools would help me use Instagram like a pro, to grow my business. Trello :: This easy to use app will help you by getting you to commit to a strategy. Don't know how to use Trello? 6 months ago, I didn't either, but I found Trello for Business, by Think Creative Collective and $29 later, I was more strategic, organized and less stressed than ever before! I created a board and cards to plan out my strategy. I totally recommend planning and making goals on paper first. Download my Flight Path Worksheet and see how I integrate setting goals for your biz on paper and Trello. This worksheet has a simple outline of key parts of your biz and will help you identify where, when and how to reach your goals, one at a time. It will clear away overwhelm! I promise. *This is an affiliate link, but I wouldn't share it if I didn't find that it works for me the best! I have used Buffer, Grum, + Vsco and Planoly is my favorite. The one thing to note with this app, is that the scheduled post is sent to your phone, with what is called a push notification, then you have to ok the post from your phone to Instagram. It is an extra step that can be a pain if you are on the West Coast in California, like me and want to have your post up for those on the East Coast, when they get up at 6:00 am. If you don't want to hassle with the push notifications, I highly recommend Grum. 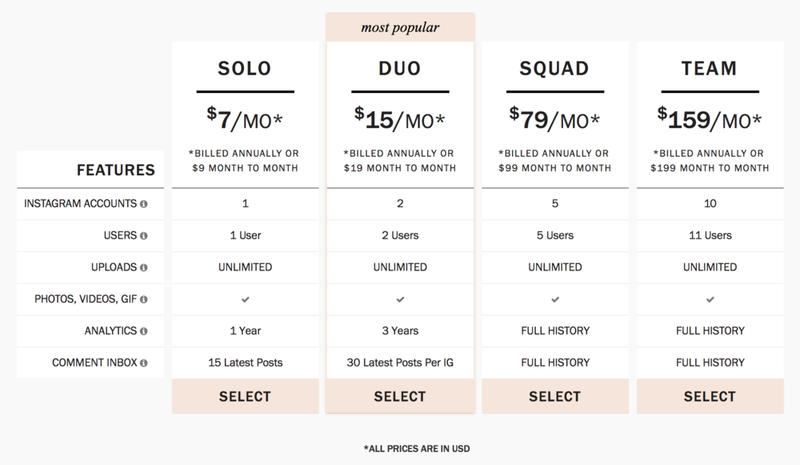 You can post as far ahead as you want for $5.00 per month. The only reason it is not my first choice...even though I used it for a year...is that I can't see the grid format and adjust it to my liking. You may not care about that, especially if you just want to set it and go! Canva is perfect for creating themed posts. A themed post is created with a template and changed each day that the theme falls on. This helps position you as a thought leader in your field and in turn, builds trust. I wrote an in-depth article a while back that walks you through creating social posts and themes. Read it here! Create a plan for a week on Instagram. Choose one or two themes. What do I mean? Well, as an example, on Saturday's I used to do a Stylin' Saturday post. 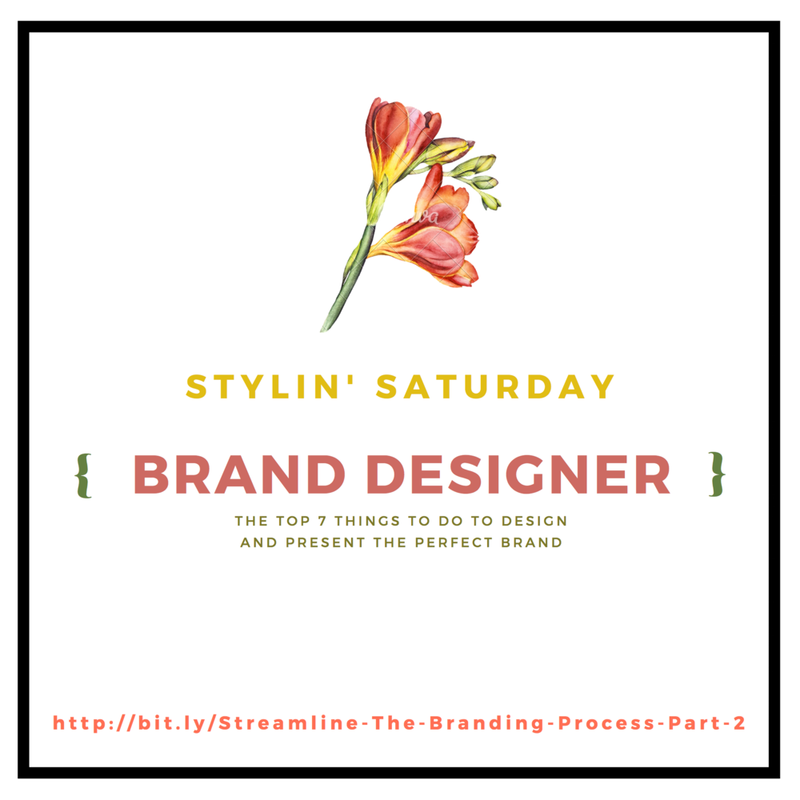 You could make a design in Canva that you would use every Saturday, like the one below. To switch it up, introduce other creatives that you would like to give a shout out to and plug in tip of theirs that has helped you. Grab the template that I used for the example below and edit it to create your own template. Tweak the design as much as you want, this copy is for you! One or two themes a week are enough. The rest of the week can focus on posts that consist of an expert tip, a lifestyle photo, a behind the scenes photo of you at work, and other images that will interest your viewers. Find out who your competition is and see what they are posting. Don't copy! Just use it as a model. **Use your brand colors and design elements that are recognizable to your biz. Linktr.ee is the perfect way to give your followers more choices and gets them into your sales funnel. This funnel leads prospective clients to your choice of blog post, Opt-In Freebie, or your products and services page. Whatever you choose! I am no expert, so if you want to dig deeper and really master Instagram for your business, Rosemary Watson is your next step! All the good intentions in the world are not going to get you anywhere. You need to make a plan, set dates for when you want each goal finished and use the tools available to you, (many are free or super inexpensive). I had to overcome a ton of fear to improve how I did business. Throw in the fact that working from home makes you feel like you are not good enough to compete with successful online businesses. Whatever self-talk is holding you back, I am here to tell you, that it is a LIE! Tackle one step at a time in this post. I made it easy for you! Set-up your very own Trello account. Don't know how to use it? Take Trello for Business from the awesome gals at Think Creative Collective TODAY! Create an account with Planoly or Grum. Planoly is available on your desktop and on your phone for quick and easy access. Open an account with Canva. Edit my template to get your first template built and create 4 Friday Introductions. Once you do that, you will have a month's worth of Friday's ready to schedule! Open or update your biz account in Instagram. Write your awesome profile based on the tips I gave you above. Take Rosemary's Instagram Intensive Course and up your game, so that you can reach the "right-for-you clients" like a pro!